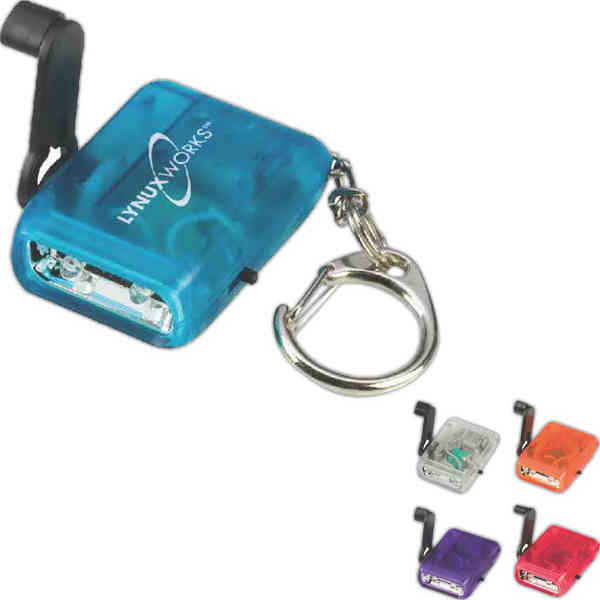 Translucent crank LED flashlight keychain. "Batteries not included" because they aren't needed. This amazing Crank LED is fun to use and handy to have. Use the crank to charge it up, flip the switch to turn it on later. Size: 1 1/4 " x 1 1/2 " x 1/2 "
Price Includes:1-color and 1-position screen printing. Ship Weight:17 lbs, Orders are normally shipped via Ground service, unless otherwise noted.